17336 Flagship Rohini is a well-maintained property with modern design and amenities. 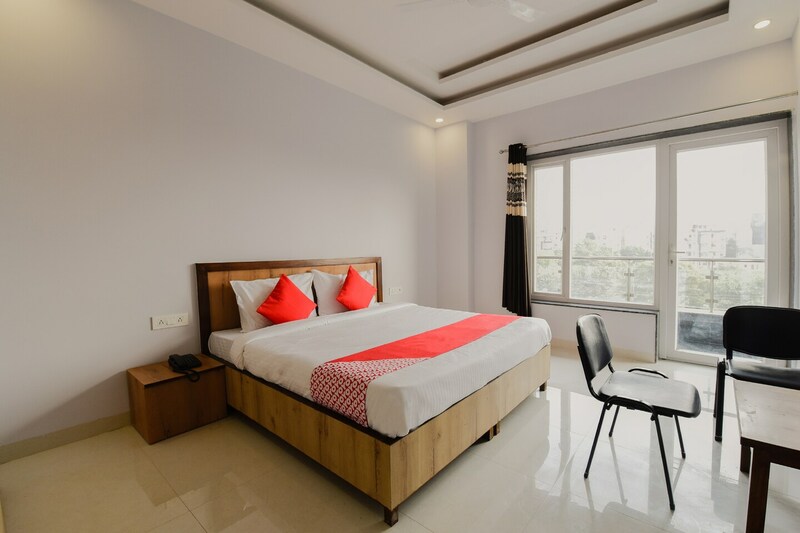 Located in West Delhis Rohini area, the hotel has great connectivity and access to all major tourist attractions in the city.For history buffs, the city is crowded with popular monuments like Safdarjang Fort, India Gate, Qutub Minar and many more. The decor in the spacious rooms is contemporary with wooden furniture in matching shades. The hotel offers all modern amenities including free Wi-Fi, a dining area, a refrigerator and a kitchen. The rooms also offer a TV, AC and an attached bathroom.